Tamper Evident Security Bags are used where the audited storage or movement of items is crucial. Cash in Transit companies, Banking & financial, Security & Forensics, Mining – Precious Metals, Post Office, Universities, Schools & Government Departments. The closure is precision applied in three entities (liner, membrane and glue) by a bag-making machine onto the bag. Any display of tamper by cold, heat, solvents, liquid or physical manipulation will be displayed. 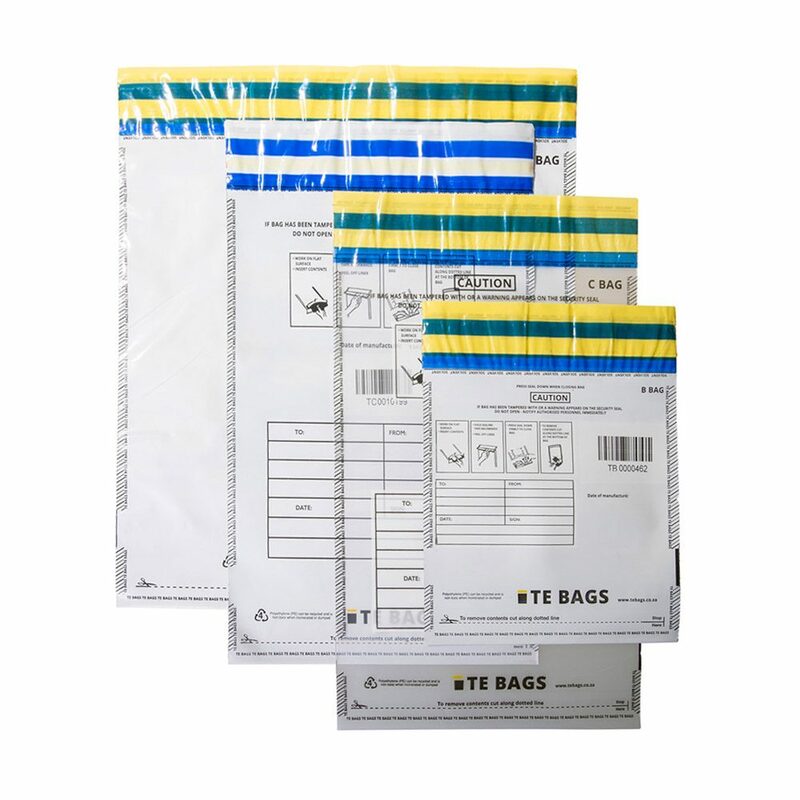 Bags are manufactured in high-strength 2- or 3-layer Top Quality Virgin opaque or clear Polyethylene. Bags are available in standard stock sizes or can be customised to suit client’s specifications. Includes a unique sequential number or Barcode. Alpha prefix and starting number can be requested by the client. Security edge print on the side seal, and a scissor cut line indicating where bag is to be opened. Packed into labeled boxes indicating size, number of bags and number sequence. Perforation on the upper and lower section of the security seal acts as an extra preventative measure if manually tampered with.